Zion Christian Church leader, Bishop Nehemiah Mutendi has called on churches to play a pivotal role in complementing government efforts in fostering community and national development. Speaking at a national youth conference held at the church's headquarters in Bikita, Masvingo province recently, Bishop Mutendi said the church should desist from antagonising the 'new' ruling elite led by President Emmerson Mnangagwa. 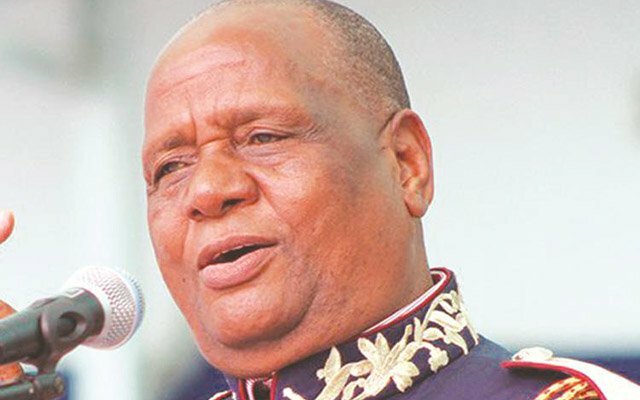 The cleric delivered a brief sermon during Mnangagwa's inauguration ceremony held at the National Sport Stadium in Harare in November amid revelations the two are bosom buddies. "The church should have a cordial relationship with the government. Its role is to work together with the Government and not to oppose it. We are there to unite the people and we should complement each other as religious organisations. Instead of attacking the government, we should come together and pray for our country and its economy," he said. "We must not oppose the country's leadership, but we must take part in helping to maintain peace, unity and development. We as the church, we are not politically affiliated, but we are focused on humanitarian uplifting, and spiritual assistance," he said. Bishop Mutendi said the church was regarded as a government pillar aimed at preaching peaceful co-existence while extending its influence to the less-privileged.